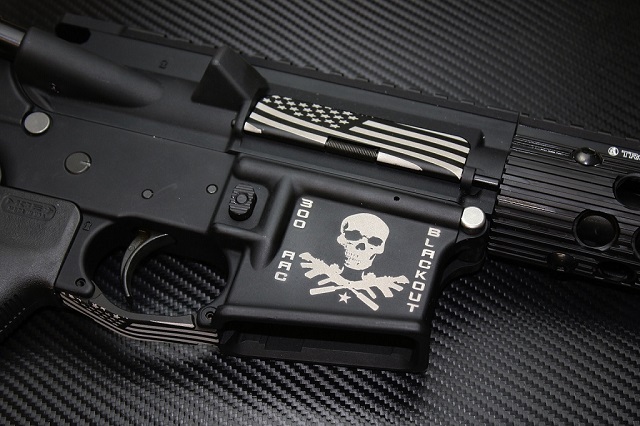 You have come to the home of the best custom engraved AR parts online. We pride ourselves on using the latest technology and having the highest standards for quality control anywhere online. We are perfectionists, and it shows! If it isn't good enough for our rifle, it isn't good enough for yours! We make something you can be proud to put on any rifle from the 80% gun you made in the garage, to the top of the line latest and greatest. We feel you'll appreciate the difference in quality and enjoy your custom parts for years to come. We strive to ship as fast as we can, most orders ship in just a few days, orders with custom graphics can take longer especially if they require editing or modification. Every item is handcrafted just for you.